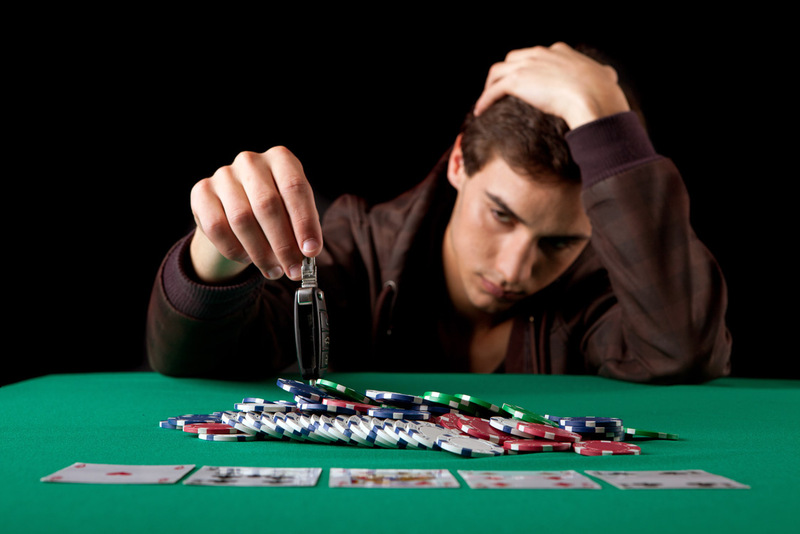 Gambling addiction is a progressive disorder in which an individual presents a persistent, maladaptive pattern of gambling related behavior that disrupts personal, family, or vocational pursuits. It is defined as any time a person wagers something of value on an event with an uncertain outcome. Gambling can be considered an addiction when a person continues to participate in their betting activities even when they are facing consequences in their life. It was first recognized as a diagnosis by the American Psychiatric Association in 1980 in their publication of the Diagnostic & Statistical Manual of Mental Disorders.
" Gambling can be considered an addiction when a person continues to participate in their betting activities even when they are facing consequences in their life." Compulsive Gambling is referred to as the “hidden disease” because there are no physical symptoms like with substance-based addictions. The effects of Gambling Addiction can be as devastating as alcohol or drug addictions, and can result in both financial and personal destruction. Unlike with substance abuse issues, there is no saturation point, which means a person can continue to embrace the addiction as long as the money or credit is available.